I've gathered up all the actual questions that I have been asked by people, both in person, and online. I didn't realize that there were so many! I figured that the best thing for me to do was to share them so that everyone could gain. If you have a question that you'd like me to answer, please feel free to message me. There's a contact form at the bottom of every page. Also, please leave a comment and let me know what you think about the blog. This section are just some general questions about the different names that hoverboards are called. Now available for pre-orders, with units shipping on June 29, 2016 is the Segway MiniPro. It has numerous safety features built into it to provide for a safer ride. You can find out more in my full review or via the link above. It's a self-balancing scooter I replied to his email. What's a Hoverboard and Are Hoverboard's Real? Whether there’s a real life hoverboard or not depends on your definition of a hoverboard. 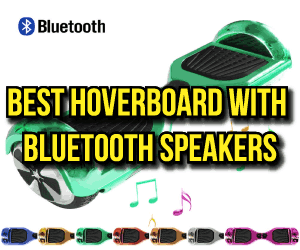 Is it a board that hovers over the ground without touching the ground, a hoverboard on water? No, that type of hoverboard isn't real. If you are speaking instead about a hoverboard with wheels. Then, yes, a hoverboard with wheels is real. What's the difference between a hoverboard and a mini Segway? them Jacuzzi's, but Jacuzzi’s are a brand of hot tub. A mini Segway is also a branded scooter. 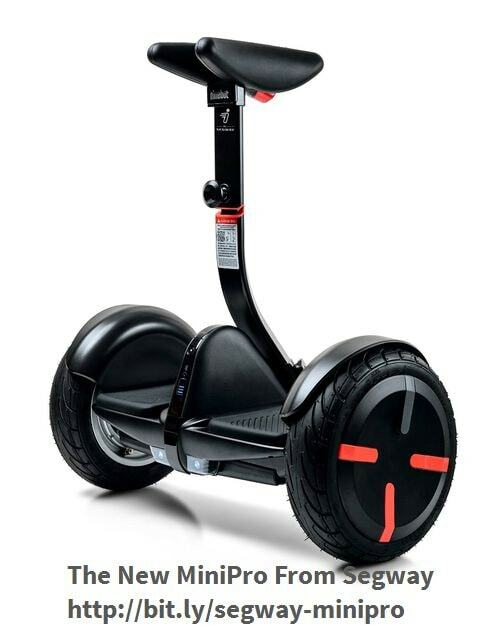 Segway owns the trademark for the name, and so they can protect their brand if someone uses their name. Saying mini Segway is a lot more intuitive than hoverboard with wheels. –It’s like a miniature Segway. Like the vehicle you see mall cops riding. But a hoverboard looks like a mini Segway that's hands-free. –It's not a hoverboard, sorry. I meant a self-balancing board. -I need to find the best hoverboard weight limit. Please read this Agreement carefully before accessing or using the Website. By accessing or using any part of the web site, you agree to become bound by the terms and conditions of this agreement. If you do not agree to all the terms and conditions of this agreement, then you may not access the Website or use any services. 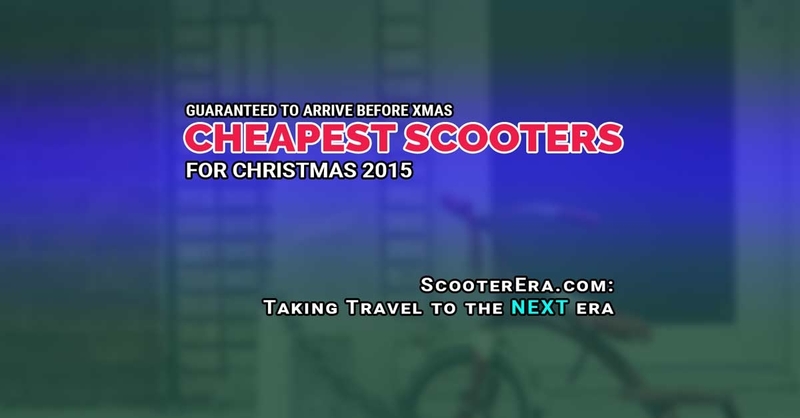 If these terms and conditions are considered an offer by ScooterEra, acceptance is expressly limited to these terms. The Website is available only to individuals who are at least 18 years old. Your ScooterEra.com Account and Site. If you create a blog/site on the Website, you are responsible for maintaining the security of your account and blog, and you are fully responsible for all activities that occur under the account and any other actions taken in connection with the blog. You must not describe or assign keywords to your blog in a misleading or unlawful manner, including in a manner intended to trade on the name or reputation of others, and ScooterEra may change or remove any description or keyword that it considers inappropriate or unlawful, or otherwise likely to cause ScooterEra liability. You must immediately notify ScooterEra of any unauthorized uses of your blog, your account or any other breaches of security. ScooterEra will not be liable for any acts or omissions by You, including any damages of any kind incurred as a result of such acts or omissions. you have, in the case of Content that includes computer code, accurately categorized and/or described the type, nature, uses and effects of the materials, whether requested to do so by ScooterEra or otherwise. By submitting Content to ScooterEra for inclusion on your Website, you grant ScooterEra a world-wide, royalty-free, and non-exclusive license to reproduce, modify, adapt and publish the Content solely for the purpose of displaying, distributing and promoting your blog. If you delete Content, ScooterEra will use reasonable efforts to remove it from the Website, but you acknowledge that caching or references to the Content may not be made immediately unavailable. Without limiting any of those representations or warranties, ScooterEra has the right (though not the obligation) to, in ScooterEra's sole discretion (i) refuse or remove any content that, in ScooterEra's reasonable opinion, violates any ScooterEra policy or is in any way harmful or objectionable, or (ii) terminate or deny access to and use of the Website to any individual or entity for any reason, in ScooterEra's sole discretion. ScooterEra will have no obligation to provide a refund of any amounts previously paid. By selecting a product or service, you agree to pay ScooterEra the one-time and/or monthly or annual subscription fees indicated (additional payment terms may be included in other communications). Subscription payments will be charged on a pre-pay basis on the day you sign up for an Upgrade and will cover the use of that service for a monthly or annual subscription period as indicated. Payments are not refundable. Unless you notify ScooterEra before the end of the applicable subscription period that you want to cancel a subscription, your subscription will automatically renew and you authorize us to collect the then-applicable annual or monthly subscription fee for such subscription (as well as any taxes) using any credit card or other payment mechanism we have on record for you. Upgrades can be canceled at any time by submitting your request to ScooterEra in writing. Fees; Payment. By signing up for a Services account you agree to pay ScooterEra the applicable setup fees and recurring fees. Applicable fees will be invoiced starting from the day your services are established and in advance of using such services. ScooterEra reserves the right to change the payment terms and fees upon thirty (30) days prior written notice to you. Services can be canceled by you at anytime on thirty (30) days written notice to ScooterEra. Support. If your service includes access to priority email support. "Email support" means the ability to make requests for technical support assistance by email at any time (with reasonable efforts by ScooterEra to respond within one business day) concerning the use of the VIP Services. "Priority" means that support takes priority over support for users of the standard or free ScooterEra.com services. All support will be provided in accordance with ScooterEra standard services practices, procedures and policies. Responsibility of Website Visitors. ScooterEra has not reviewed, and cannot review, all of the material, including computer software, posted to the Website, and cannot therefore be responsible for that material's content, use or effects. By operating the Website, ScooterEra does not represent or imply that it endorses the material there posted, or that it believes such material to be accurate, useful or non-harmful. You are responsible for taking precautions as necessary to protect yourself and your computer systems from viruses, worms, Trojan horses, and other harmful or destructive content. The Website may contain content that is offensive, indecent, or otherwise objectionable, as well as content containing technical inaccuracies, typographical mistakes, and other errors. The Website may also contain material that violates the privacy or publicity rights, or infringes the intellectual property and other proprietary rights, of third parties, or the downloading, copying or use of which is subject to additional terms and conditions, stated or unstated. ScooterEra disclaims any responsibility for any harm resulting from the use by visitors of the Website, or from any downloading by those visitors of content there posted. Content Posted on Other Websites. We have not reviewed, and cannot review, all of the material, including computer software, made available through the websites and webpages to which ScooterEra.com links, and that link to ScooterEra.com. ScooterEra does not have any control over those non-ScooterEra websites and webpages, and is not responsible for their contents or their use. By linking to a non-ScooterEra website or webpage, ScooterEra does not represent or imply that it endorses such website or webpage. You are responsible for taking precautions as necessary to protect yourself and your computer systems from viruses, worms, Trojan horses, and other harmful or destructive content. ScooterEra disclaims any responsibility for any harm resulting from your use of non-ScooterEra websites and webpages. Copyright Infringement and DMCA Policy. As ScooterEra asks others to respect its intellectual property rights, it respects the intellectual property rights of others. If you believe that material located on or linked to by ScooterEra.com violates your copyright, you are encouraged to notify ScooterEra in accordance with ScooterEra's Digital Millennium Copyright Act ("DMCA") Policy. ScooterEra will respond to all such notices, including as required or appropriate by removing the infringing material or disabling all links to the infringing material. ScooterEra will terminate a visitor's access to and use of the Website if, under appropriate circumstances, the visitor is determined to be a repeat infringer of the copyrights or other intellectual property rights of ScooterEra or others. In the case of such termination, ScooterEra will have no obligation to provide a refund of any amounts previously paid to ScooterEra. Intellectual Property. This Agreement does not transfer from ScooterEra to you any ScooterEra or third party intellectual property, and all right, title and interest in and to such property will remain (as between the parties) solely with ScooterEra. ScooterEra, ScooterEra.com, the ScooterEra.com logo, and all other trademarks, service marks, graphics and logos used in connection with ScooterEra.com, or the Website are trademarks or registered trademarks of ScooterEra or ScooterEra's licensors. Other trademarks, service marks, graphics and logos used in connection with the Website may be the trademarks of other third parties. Your use of the Website grants you no right or license to reproduce or otherwise use any ScooterEra or third-party trademarks. Advertisements. ScooterEra reserves the right to display advertisements on your blog unless you have purchased an ad-free account. Attribution. ScooterEra reserves the right to display attribution links such as 'Blog at ScooterEra.com,' theme author, and font attribution in your blog footer or toolbar. Changes. ScooterEra reserves the right, at its sole discretion, to modify or replace any part of this Agreement. It is your responsibility to check this Agreement periodically for changes. Your continued use of or access to the Website following the posting of any changes to this Agreement constitutes acceptance of those changes. ScooterEra may also, in the future, offer new services and/or features through the Website (including, the release of new tools and resources). Such new features and/or services shall be subject to the terms and conditions of this Agreement. Termination. ScooterEra may terminate your access to all or any part of the Website at any time, with or without cause, with or without notice, effective immediately. If you wish to terminate this Agreement or your ScooterEra.com account (if you have one), you may simply discontinue using the Website. Notwithstanding the foregoing, if you have a paid services account, such account can only be terminated by ScooterEra if you materially breach this Agreement and fail to cure such breach within thirty (30) days from ScooterEra's notice to you thereof; provided that, ScooterEra can terminate the Website immediately as part of a general shut down of our service. All provisions of this Agreement which by their nature should survive termination shall survive termination, including, without limitation, ownership provisions, warranty disclaimers, indemnity and limitations of liability. Disclaimer of Warranties. The Website is provided "as is". ScooterEra and its suppliers and licensors hereby disclaim all warranties of any kind, express or implied, including, without limitation, the warranties of merchantability, fitness for a particular purpose and non-infringement. Neither ScooterEra nor its suppliers and licensors, makes any warranty that the Website will be error free or that access thereto will be continuous or uninterrupted. You understand that you download from, or otherwise obtain content or services through, the Website at your own discretion and risk. Limitation of Liability. In no event will ScooterEra, or its suppliers or licensors, be liable with respect to any subject matter of this agreement under any contract, negligence, strict liability or other legal or equitable theory for: (i) any special, incidental or consequential damages; (ii) the cost of procurement for substitute products or services; (iii) for interruption of use or loss or corruption of data; or (iv) for any amounts that exceed the fees paid by you to ScooterEra under this agreement during the twelve (12) month period prior to the cause of action. ScooterEra shall have no liability for any failure or delay due to matters beyond their reasonable control. The foregoing shall not apply to the extent prohibited by applicable law. Indemnification. You agree to indemnify and hold harmless ScooterEra, its contractors, and its licensors, and their respective directors, officers, employees and agents from and against any and all claims and expenses, including attorneys' fees, arising out of your use of the Website, including but not limited to your violation of this Agreement. Miscellaneous. This Agreement constitutes the entire agreement between ScooterEra and you concerning the subject matter hereof, and they may only be modified by a written amendment signed by an authorized executive of ScooterEra, or by the posting by ScooterEra of a revised version. Except to the extent applicable law, if any, provides otherwise, this Agreement, any access to or use of the Website will be governed by the laws of the San Antonio, TX, excluding its conflict of law provisions, and the proper venue for any disputes arising out of or relating to any of the same will be the state and federal courts located in Bexar County, Texas. Except for claims for injunctive or equitable relief or claims regarding intellectual property rights (which may be brought in any competent court without the posting of a bond), any dispute arising under this Agreement shall be finally settled in accordance with the Comprehensive Arbitration Rules of the Judicial Arbitration and Mediation Service, Inc. ("JAMS") by three arbitrators appointed in accordance with such Rules. The arbitration shall take place in San Antonio, TX, in the English language and the arbitral decision may be enforced in any court. The prevailing party in any action or proceeding to enforce this Agreement shall be entitled to costs and attorneys' fees. If any part of this Agreement is held invalid or unenforceable, that part will be construed to reflect the parties' original intent, and the remaining portions will remain in full force and effect. A waiver by either party of any term or condition of this Agreement or any breach thereof, in any one instance, will not waive such term or condition or any subsequent breach thereof. You may assign your rights under this Agreement to any party that consents to, and agrees to be bound by, its terms and conditions; ScooterEra may assign its rights under this Agreement without condition. This Agreement will be binding upon and will inure to the benefit of the parties, their successors and permitted assigns. ScooterEra.com ("ScooterEra") operates ScooterEra.com and may operate other websites. It is ScooterEra's policy to respect your privacy regarding any information we may collect while operating our websites. Like most website operators, ScooterEra collects non-personally-identifying information of the sort that web browsers and servers typically make available, such as the browser type, language preference, referring site, and the date and time of each visitor request. ScooterEra's purpose in collecting non-personally identifying information is to better understand how ScooterEra's visitors use its website. From time to time, ScooterEra may release non-personally-identifying information in the aggregate, e.g., by publishing a report on trends in the usage of its website. ScooterEra also collects potentially personally-identifying information like Internet Protocol (IP) addresses for logged in users and for users leaving comments on ScooterEra.com blogs/sites. ScooterEra only discloses logged in user and commenter IP addresses under the same circumstances that it uses and discloses personally-identifying information as described below, except that commenter IP addresses and email addresses are visible and disclosed to the administrators of the blog/site where the comment was left. Certain visitors to ScooterEra's websites choose to interact with ScooterEra in ways that require ScooterEra to gather personally-identifying information. The amount and type of information that ScooterEra gathers depends on the nature of the interaction. For example, we ask visitors who sign up at ScooterEra.com to provide a username and email address. Those who engage in transactions with ScooterEra are asked to provide additional information, including as necessary the personal and financial information required to process those transactions. In each case, ScooterEra collects such information only insofar as is necessary or appropriate to fulfill the purpose of the visitor's interaction with ScooterEra. ScooterEra does not disclose personally-identifying information other than as described below. And visitors can always refuse to supply personally-identifying information, with the caveat that it may prevent them from engaging in certain website-related activities. ScooterEra may collect statistics about the behavior of visitors to its websites. ScooterEra may display this information publicly or provide it to others. However, ScooterEra does not disclose personally-identifying information other than as described below. ScooterEra discloses potentially personally-identifying and personally-identifying information only to those of its employees, contractors and affiliated organizations that (i) need to know that information in order to process it on ScooterEra's behalf or to provide services available at ScooterEra's websites, and (ii) that have agreed not to disclose it to others. Some of those employees, contractors and affiliated organizations may be located outside of your home country; by using ScooterEra's websites, you consent to the transfer of such information to them. ScooterEra will not rent or sell potentially personally-identifying and personally-identifying information to anyone. Other than to its employees, contractors and affiliated organizations, as described above, ScooterEra discloses potentially personally-identifying and personally-identifying information only in response to a subpoena, court order or other governmental request, or when ScooterEra believes in good faith that disclosure is reasonably necessary to protect the property or rights of ScooterEra, third parties or the public at large. If you are a registered user of an ScooterEra website and have supplied your email address, ScooterEra may occasionally send you an email to tell you about new features, solicit your feedback, or just keep you up to date with what's going on with ScooterEra and our products. If you send us a request (for example via email or via one of our feedback mechanisms), we reserve the right to publish it in order to help us clarify or respond to your request or to help us support other users. ScooterEra takes all measures reasonably necessary to protect against the unauthorized access, use, alteration or destruction of potentially personally-identifying and personally-identifying information. If ScooterEra, or substantially all of its assets, were acquired, or in the unlikely event that ScooterEra goes out of business or enters bankruptcy, user information would be one of the assets that is transferred or acquired by a third party. You acknowledge that such transfers may occur, and that any acquirer of ScooterEra may continue to use your personal information as set forth in this policy. This Compensation Disclosure is provided for your protection and to fully show any relationship between this sites product or service recommendations and the owners of those product or services. The owner of this website is required by the FTC to tell you that a relationship exists between ScooterEra.com and some of the products or services it reviews, recommends or promotes. ScooterEra.com makes use of affiliate relationships with merchants for monetization. This means when you click on links to various merchants on this site and make a purchase, this can result in a commission that is credited to this site. Some affiliate programs and affiliations include, but are not limited to, Amazon Services LLC Associates Program. The opinions expressed here are those of myself as an individual and are not necessarily the opinions of nor show the views of any merchants I am affiliated with.I have chosen to only recommend products and services on ScooterEra.com that I use or have thoroughly researched. I earn a full-time living as an affiliate marketer, so it is essential that I maintain my credibility. The ScooterEra.com traffic is increasing monthly. A lot of people who come here for advice, help and support. I take my responsibility as an affiliate and subject matter expert very seriously. Text and image ads that appear on ScooterEra.com are provided by third-party ad agencies such as Google Adsense. We do not personally endorse the products and services advertised in these ads. These companies are not affiliated with ScooterEra.com. If you have questions about any affiliations on this website, please don't hesitate to contact me. I'll be more than happy to clarify or offer more details if necessary. Just use the contact form at the bottom of the page. I'm Looking For A Cheap Hoverboard, Can You Help? If you want to get a cheap hoverboard, check out my review of the Swagtron T1. 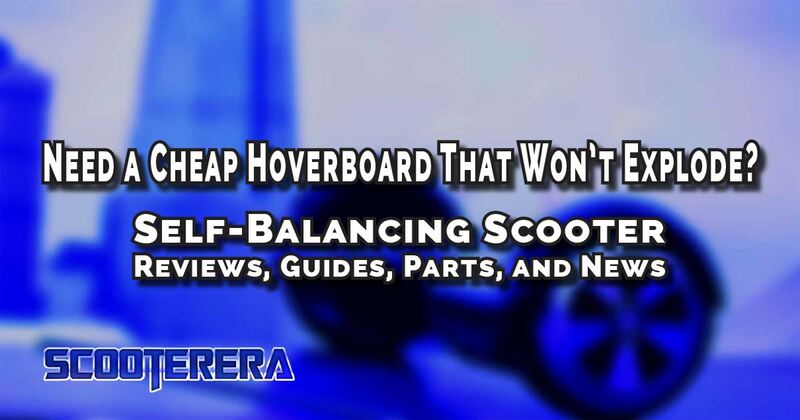 Not only is it relatively inexpensive, but it's also a safe and well-built hoverboard, too. 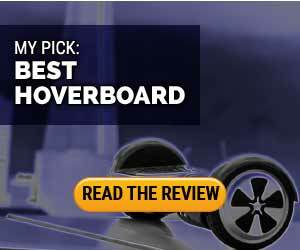 Check out this review where I show you why it is a dependable hoverboard. Do you need the cheapest hoverboard? No problem, here's a bunch of links to some of the most affordable hoverboards that I could find. If you're reading this article, you might see that there are several Christmas references. This article has been updated since Christmas, and I'm working on taking all of them out. The most popular question that I have heard from other readers is parents asking for what's the cheapest self-balancing scooter for Christmas 2015. So I took some time to do a little roundup of what I found to be the most economical self-balancing scooters for this Christmas. First, some rules about what will make up the cheapest hoverboard. No pieces of junk that will just waste your money. Yes, you can buy this model or that one for only $180. But it doesn't have a warranty, or it's seriously underpowered. I'm aiming for self-balancing scooters under $400. The hoverboards I list should have a one-year warranty. If a kid is going to be using it, you're going to want the warranty. The best smart boards that I found are all designed for adults. I'll list a couple of kids balance scooters at the very end of the article. I tried, but I couldn't find any kid-specific models that were still in stock, or that could arrive before Christmas. There're only a few days left to get a hoverboard by Christmas Eve 2016. Therefore, all these will have quick shipping. For some fantastic hoverboard deals, click on the button below to see a list of current hoverboard deals, coupons, and discounts. THE EASIEST METHOD TO LEARN HOW TO RIDE A SELF-BALANCING SCOOTER. 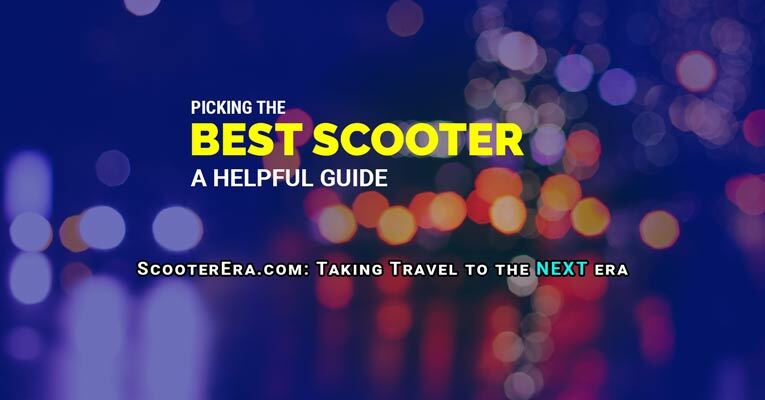 By the way, did you see our guide to picking the best scooter? And if you need a hoverboard for someone heavier, click here. 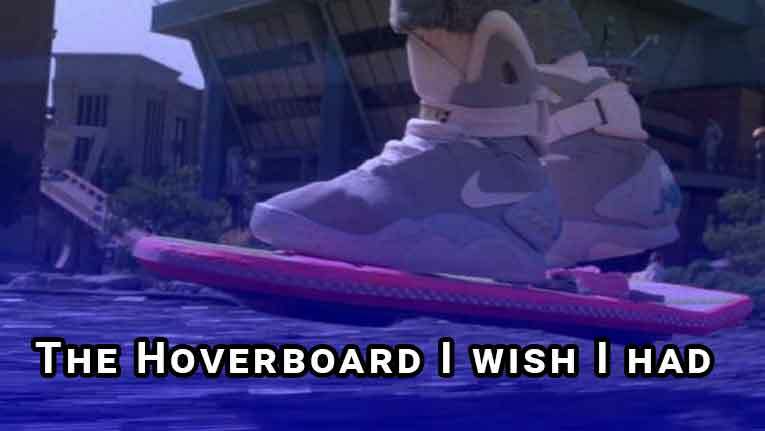 Don’t have a hoverboard yet? Visit the best electric scooters guide or the best electric scooter for kids. Learning how to ride a self-balancing scooter starts by placing yourself next to something sturdy that you can hold to keep your balance for when you might fall. You won’t, but better safe than sorry. If you have to, you can use a friend, but I wouldn’t recommend that. Also, make sure that you have a clear path without any obstacles. The last thing you want is to hit something and wipe out. To get on, put one foot on the spot on the board and then transfer your center of gravity from where it was when you were standing on the ground and lift yourself all the way on the scooter and put your other foot on the board. It’s like stepping up to the next step on a staircase. NOW, DON’T DO ANYTHING. JUST SIT THERE. 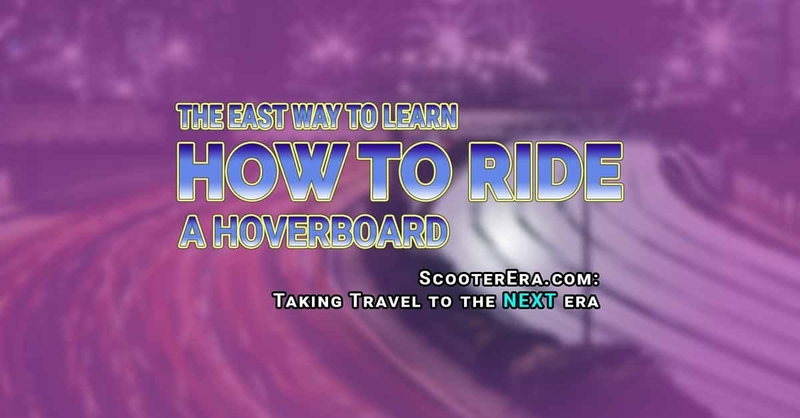 Take a moment and visit the hoverboard blog. You’re allowing your body to adjust to the fact that you’re not standing on the ground. It takes your body about 30 seconds to change. I recommend just holding there for about a minute to adjust fully. While you’re sitting there learning how to ride a self-balancing scooter think of how much fun this is going to be. Oh, by the way. You paid your health insurance, right? P.S. Also, you are wearing your proper safety gear? Kids might be able to get away with falling and bouncing back up with no injuries. The rest of us are getting a bit older and might not be able to recover as easily. 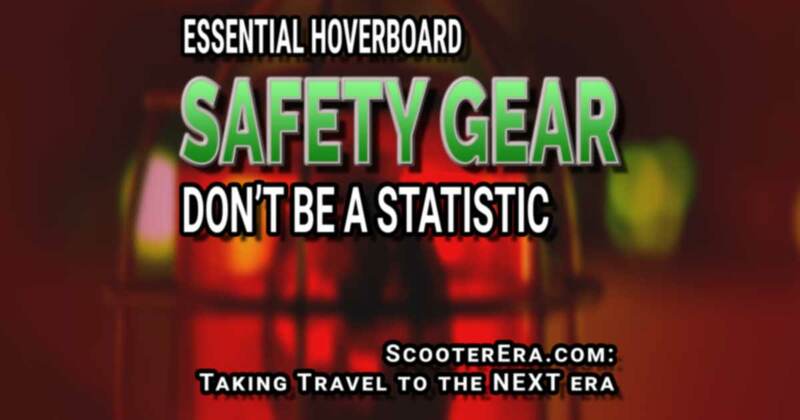 See this link from the about scooter safety and here’s the proper safety gear for hoverboarding. Need a Safe Hoverboard that Won't Explode for Cheap? I O Hawk Review: Why It's Illegal to Sell the IO Hawk Board in the US. IO Hawk Board Can No Longer Be Sold in the US. Find Out Why in this Article. This was going to be an awesome headline about how an IO Hawk Board would bring world peace. One of the first companies to gain a name for their “Personalized Motor Transporters”, was IO Hawk. The company unveiled what many called a mini Segway, or a self balancing skateboard/board to the delight of the technology loving crowds at the Consumer Electronics Show in Las Vegas Jan 6 – 9, 2015. That man, Shane Chen, was the inventor and patent holder of the Hovertrax. But what is the Hovertrax? It's the two wheeled evolution of the Solotrax, Chen's electric unicycle. 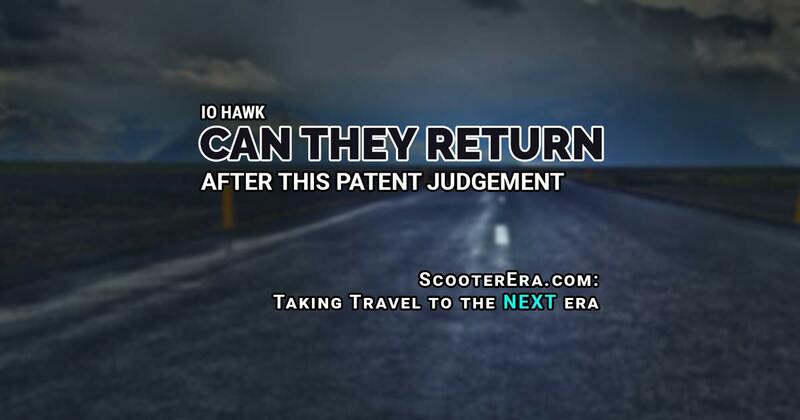 At CES 2015 Chen saw the I O Hawk hoverboard and told them that they were infringing upon his patent. Shortly after that, Chen was suing the parent company of IO Hawk. Fast forward to Nov 20, 2015, and Shane Chen is a much happier man. He had just won the first of many lawsuits that he has against patent-infringing companies who had little regard for his creation. The company that lost? IO Hawk. Now, anyone who willingly and knowingly sells their devices will be subject to potential liabilities.